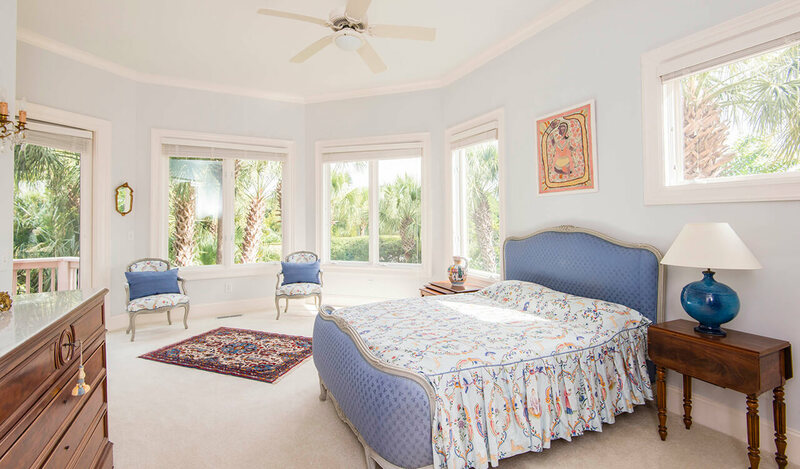 One of Kiawah Island’s most private homes, this Mediterranean style Island paradise offers magnificent and permanent 270-degree views of the Atlantic Ocean, the world-famous Ocean Course, Bass Creek, and the Lowcountry marsh. 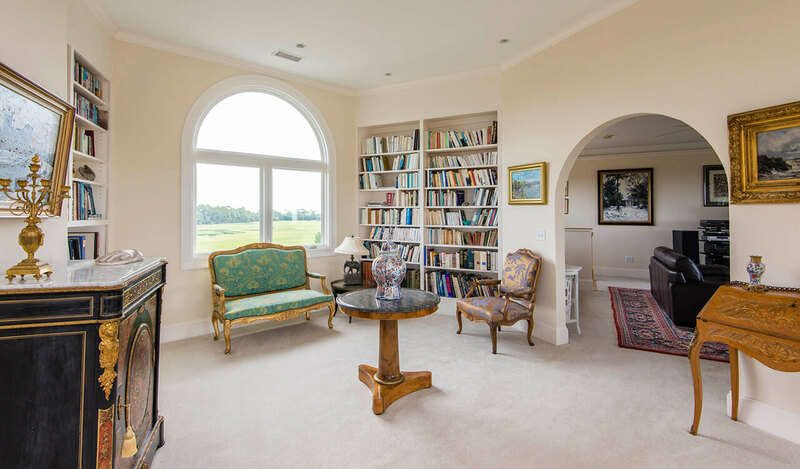 Because of the property’s unique lot shape, generous size, and superb orientation the breathtaking views and privacy will remain forever unchanged. 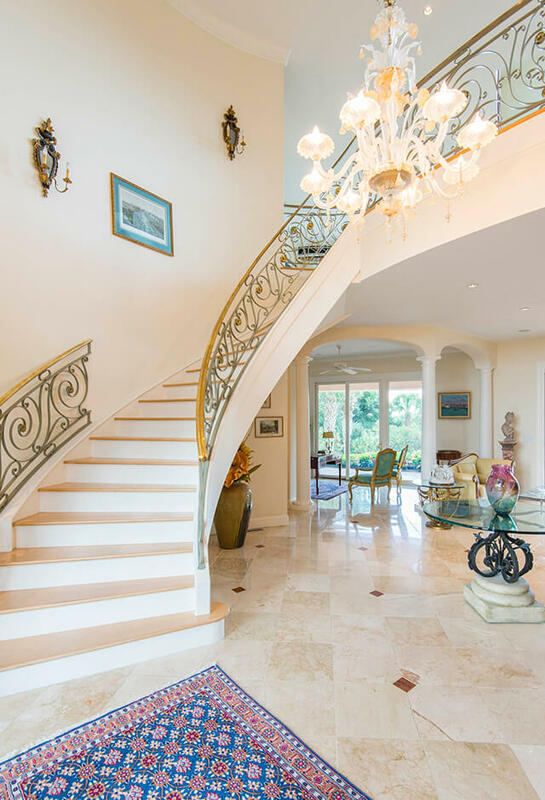 Meticulously landscaped, the home’s sparkling swimming pool and 3,100-square feet of tiered outdoor living spaces—porches, verandas, decks, and balconies adorned with 72 palm trees, tropical plants, and flowering oleander—guarantee ease of entertaining both large and intimate gatherings. 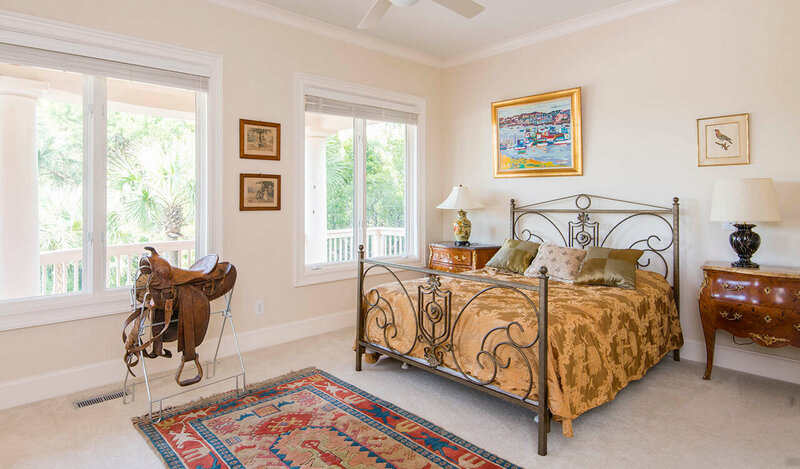 Each light-filled level offers refreshing, high-end interiors, artisan stone, tile, metal, and glasswork, high ceilings, stone and hardwood flooring, curved lines, soft angles, arched entries, and oversized windows and French doors that showcase breathtaking views. 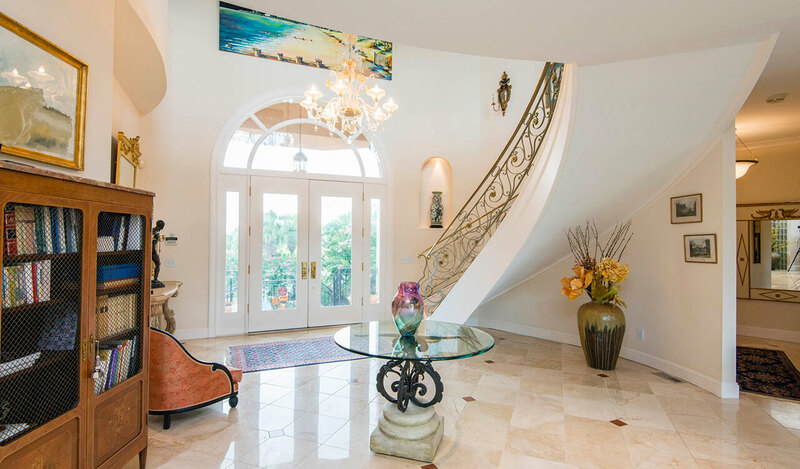 The dramatic foyer’s floating curved staircase and upper gallery feature decorative balustrades designed by Reignoux Creations from France. 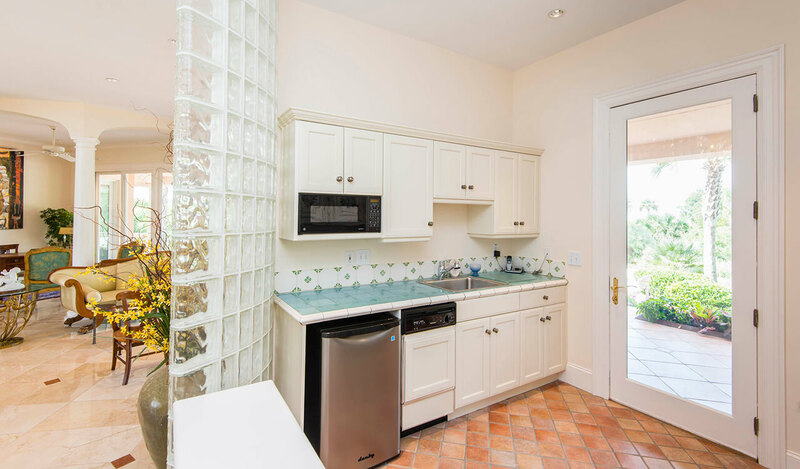 The first level features marble flooring, a sunny gathering room, chic office niche, and delightful indoor “summer kitchen” dressed in seaside blue French tiles, welcome friends and ensure that poolside entertaining is mastered with ease. 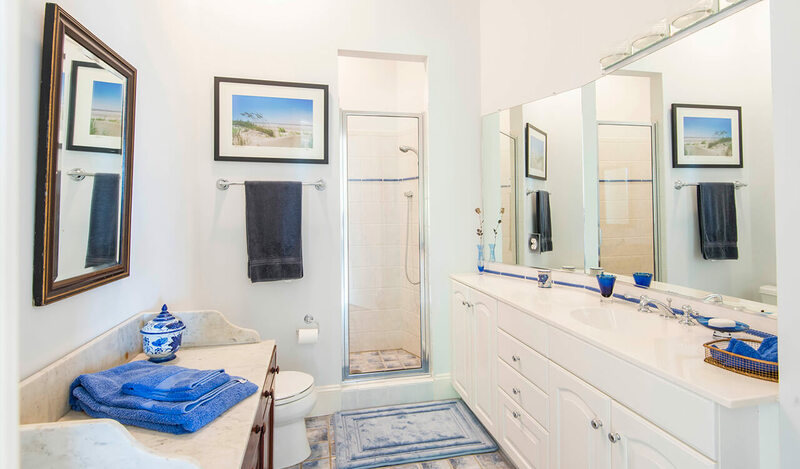 Three spacious guest suites offer private baths, private outdoor access, and soothing sounds of the nearby ocean. 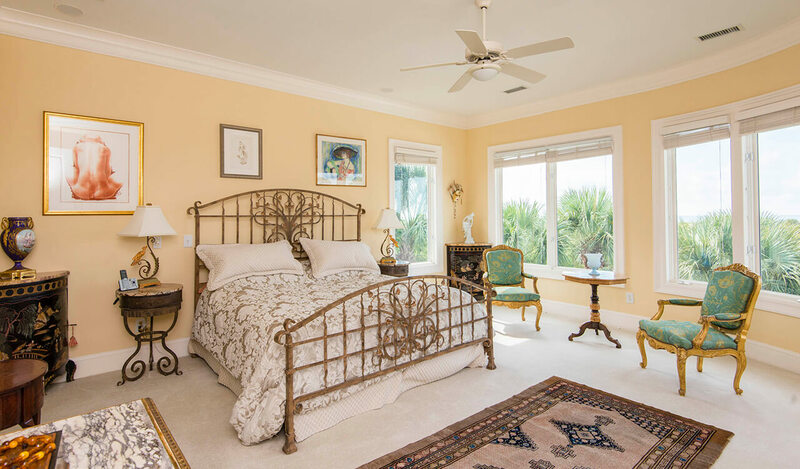 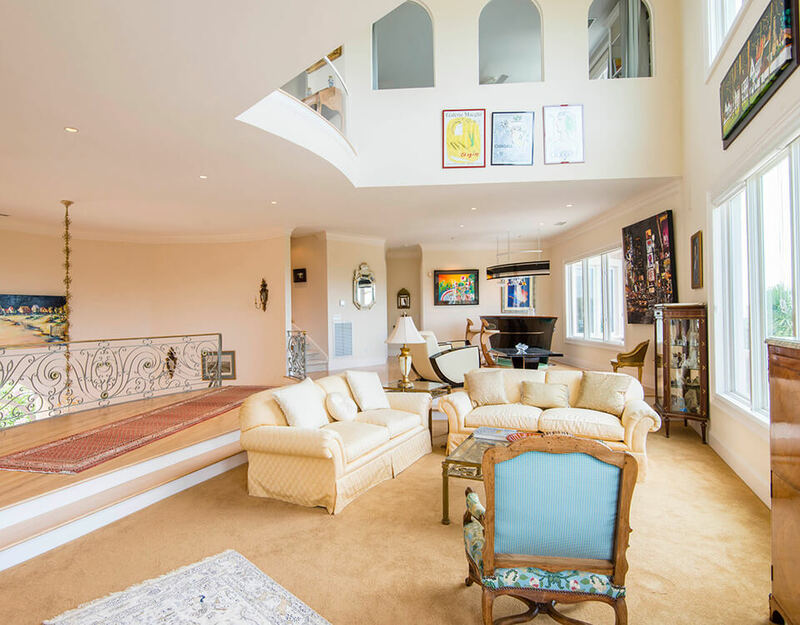 Upstairs, the open living room and gallery enjoy spectacular and expansive views of both the ocean and marsh and Bass Creek. 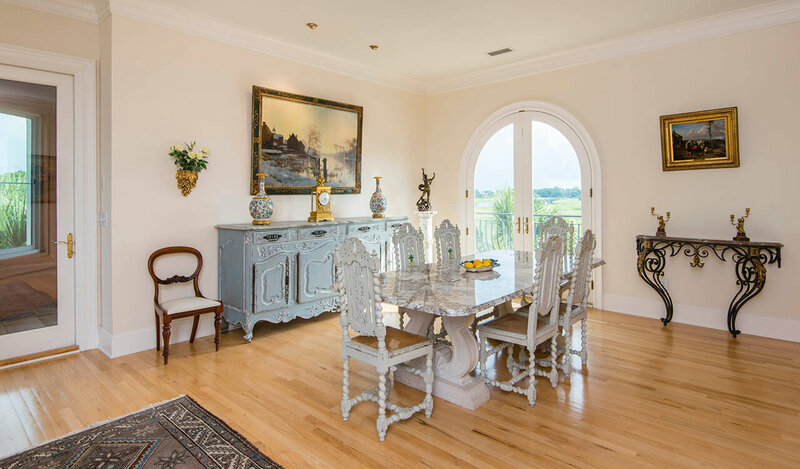 Open and bright, the relaxed space accommodates multiple seating venues and access to the formal dining room and to the newly enclosed sunroom overlooking Bass Creek, which can easily be converted to a screened porch when weather permits. 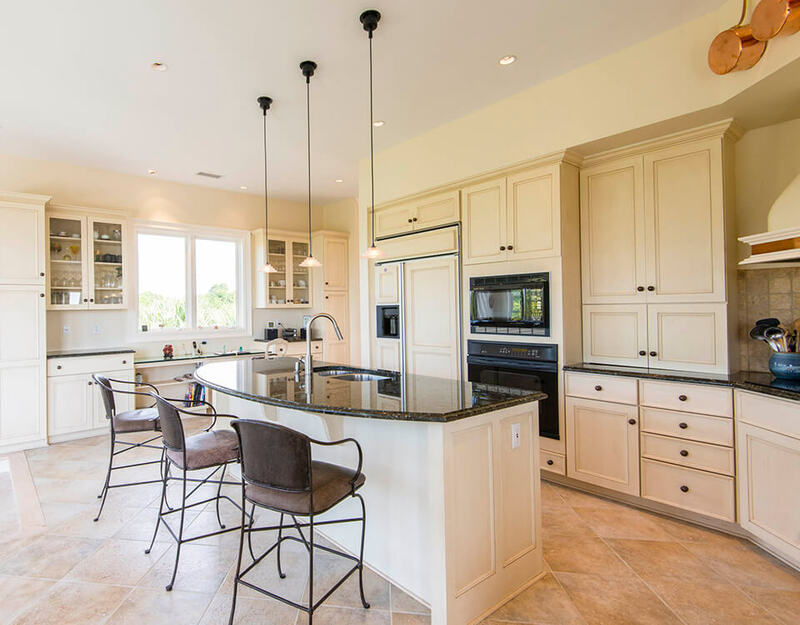 Functional and beautiful, the kitchen offers a large breakfast room with stunning ocean views. 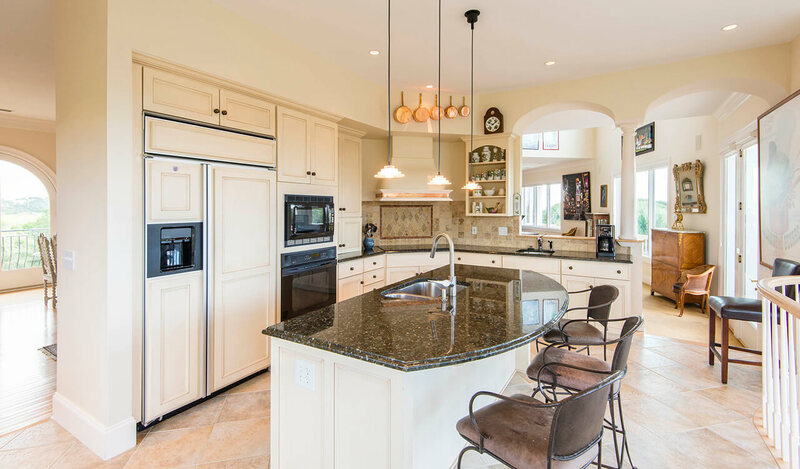 Designed for those who love to cook and socialize, the space features Italian tile flooring, glass-front cabinetry, tumbled stone backsplash, and top-tier appliances. 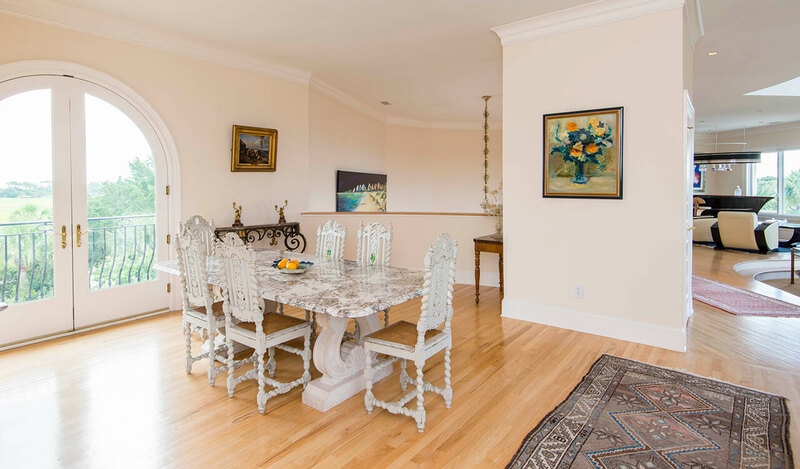 Complete with table space for 10, a curved granite island with elevated bar seating, and access to the expansive balcony overlooking the pool, Ocean Course, and sea beyond. 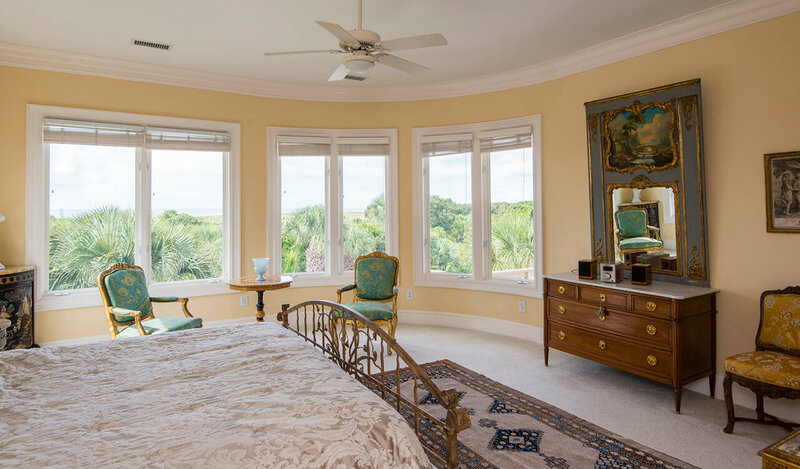 Embraced by bayed glass windows, the private master suite enjoys spectacular ocean views, space for relaxed seating, and two large customized walk-in closets. 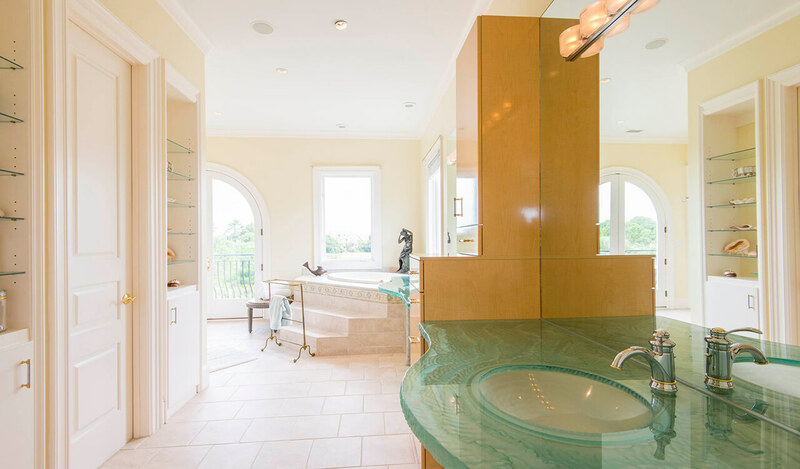 The luxurious en suite is adorned with Italian tile floors, custom built-ins and cabinetry, a walk-in shower, jetted soaking tub, and unique glass dual vanities made in Paris and crafted to mimic the ocean waves. 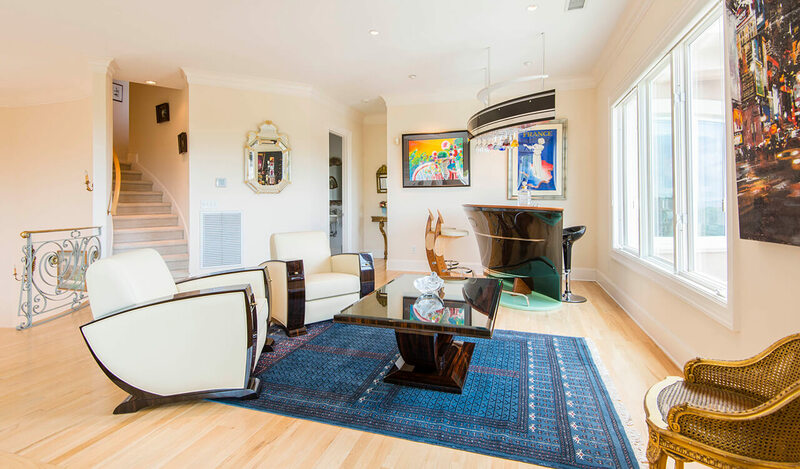 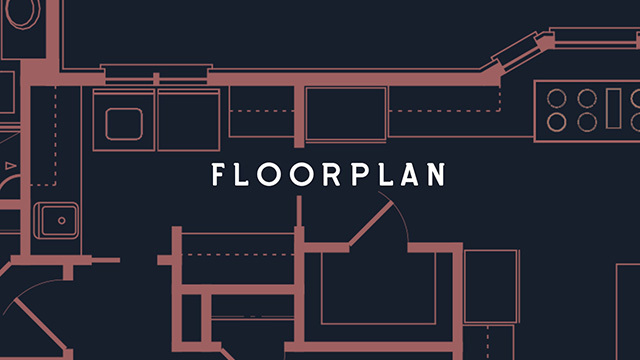 Accessed by a second stairway or the elevator, the 1,170-square foot third level media room, library, and open office with wet bar can be easily converted to a fifth bedroom suite with private bath. 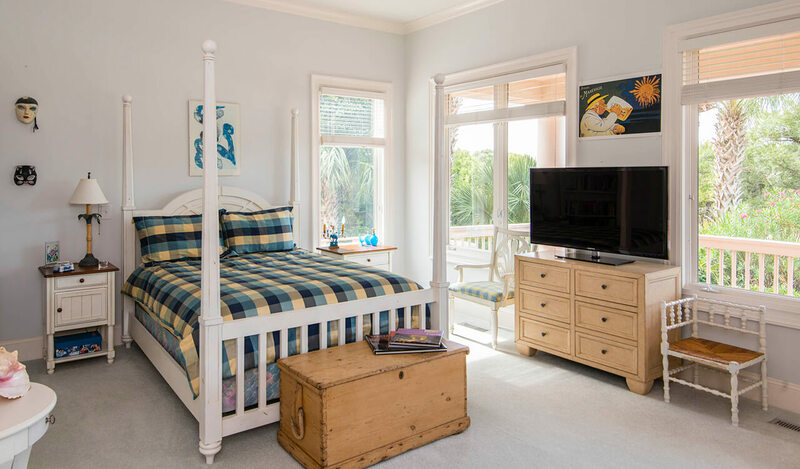 The space enjoys incredible views of the Atlantic Ocean, Kiawah’s 10-mile beach, Bass Creek, and golden savanna marshes. 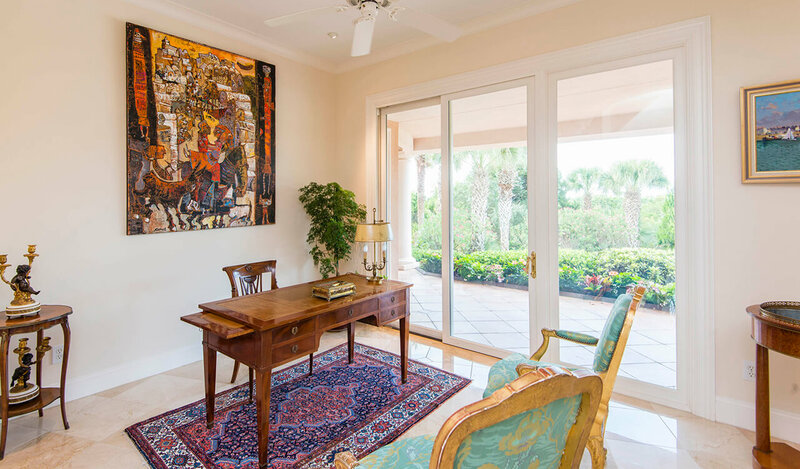 Selected for the 2010 Kiawah Art & House Tour by Gibbes Museum of Art, 32 Ocean Course is unlike any other property on Kiawah. 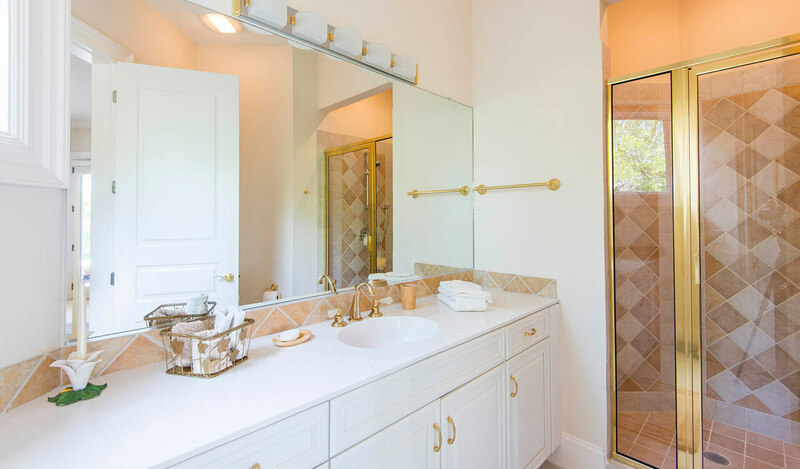 Additional features include a sound system throughout, a three-stop elevator, 3M 99% UV Protected window film (for sun control, protection, safety and security) and a finished 2,130-square foot garage with epoxy flooring, a mosquito control system, and exterior night lighting.